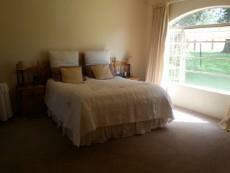 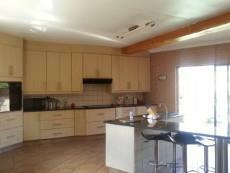 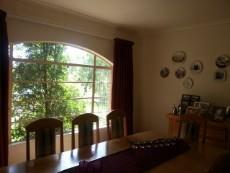 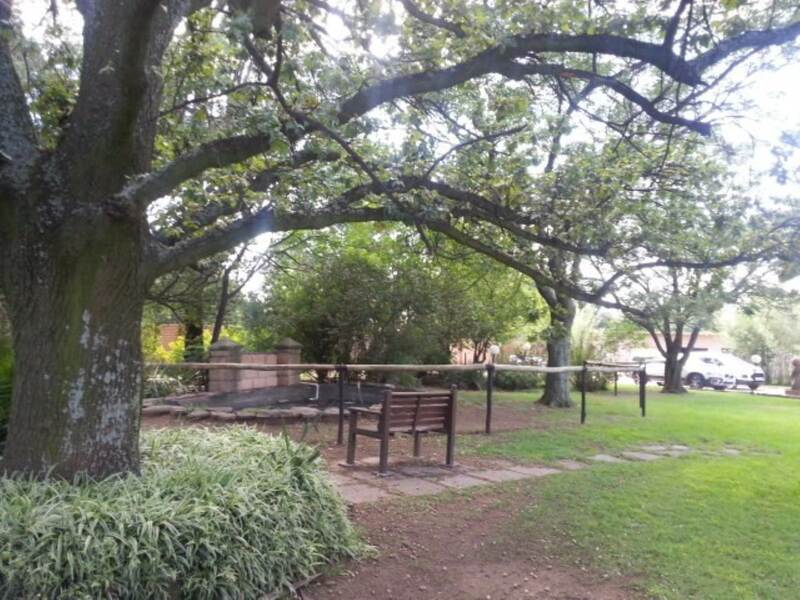 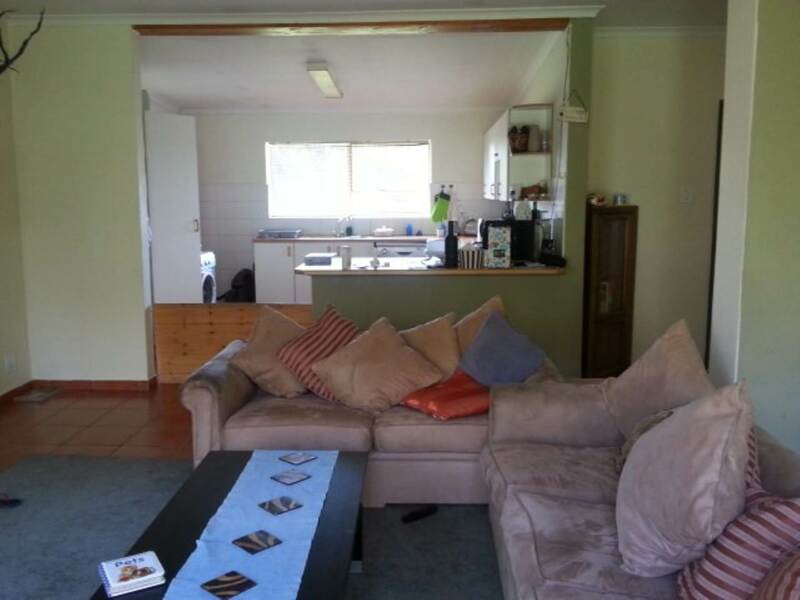 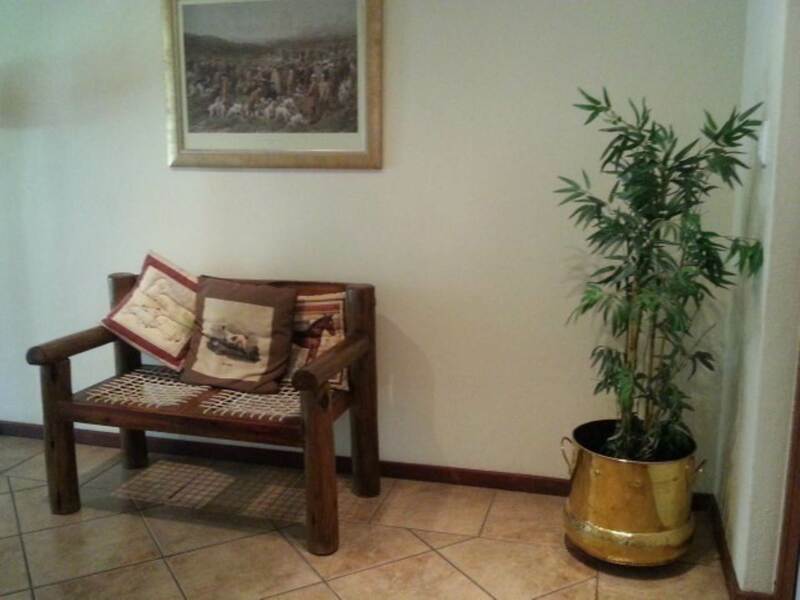 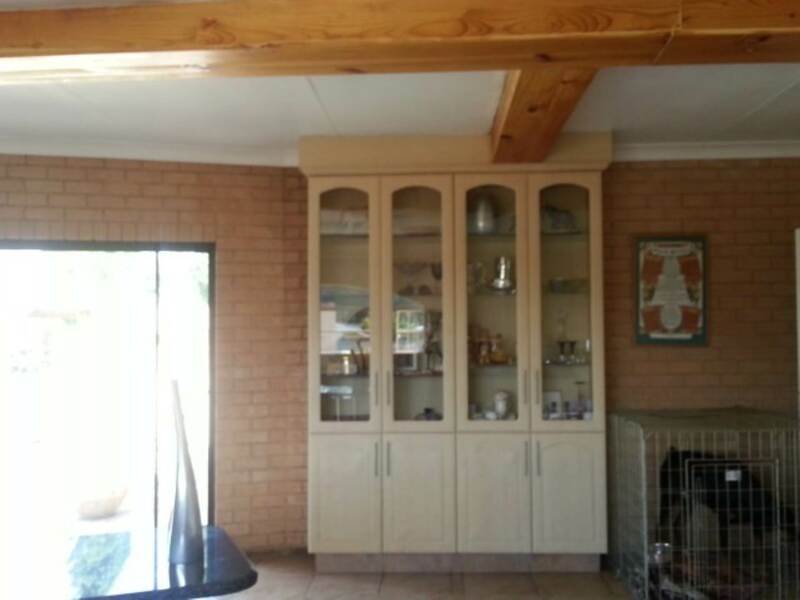 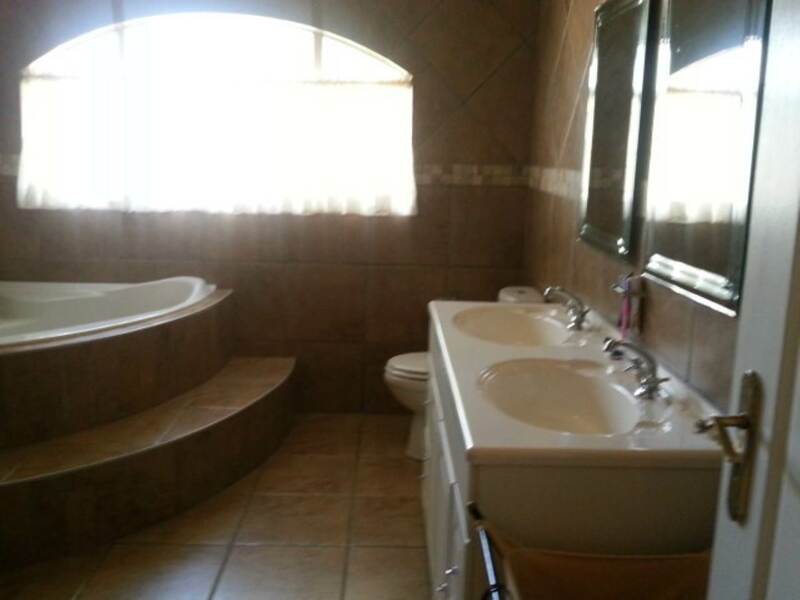 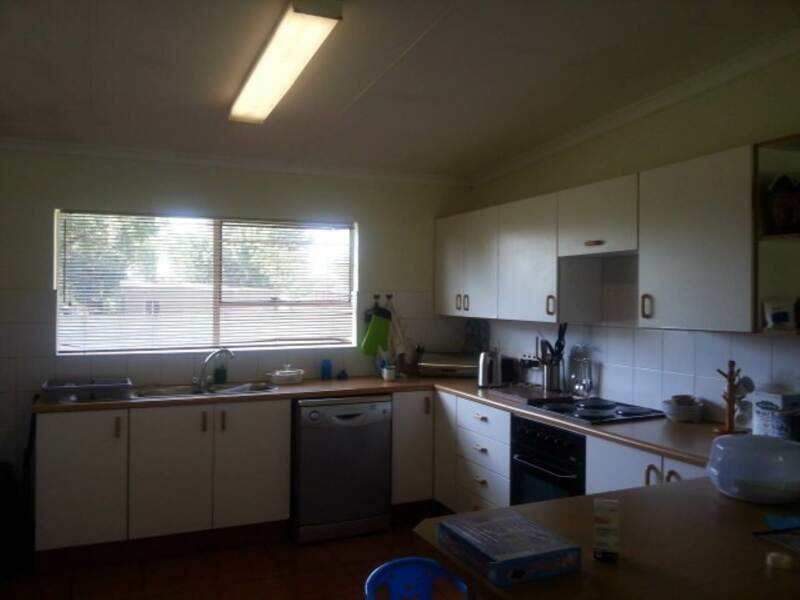 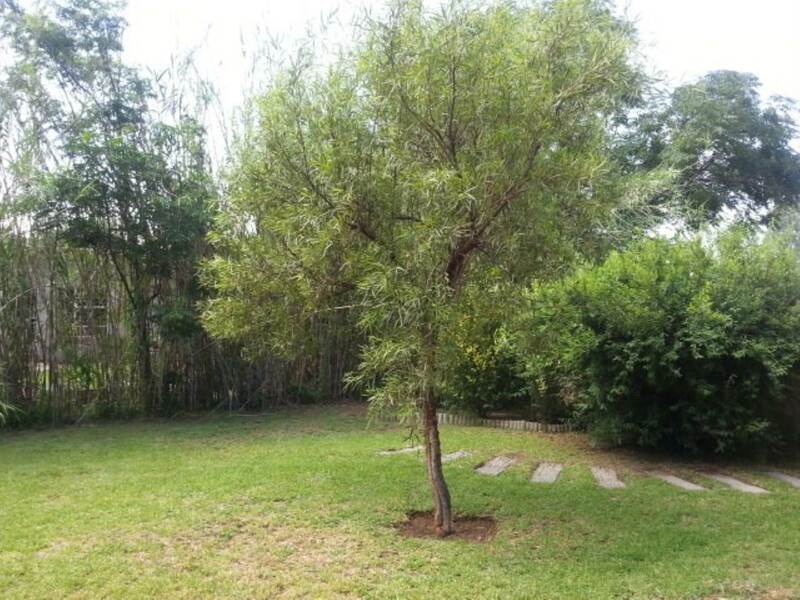 Well maintained lovely home set in beautiful treed landscaped garden where tranquillty abounds. 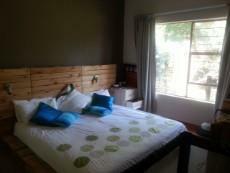 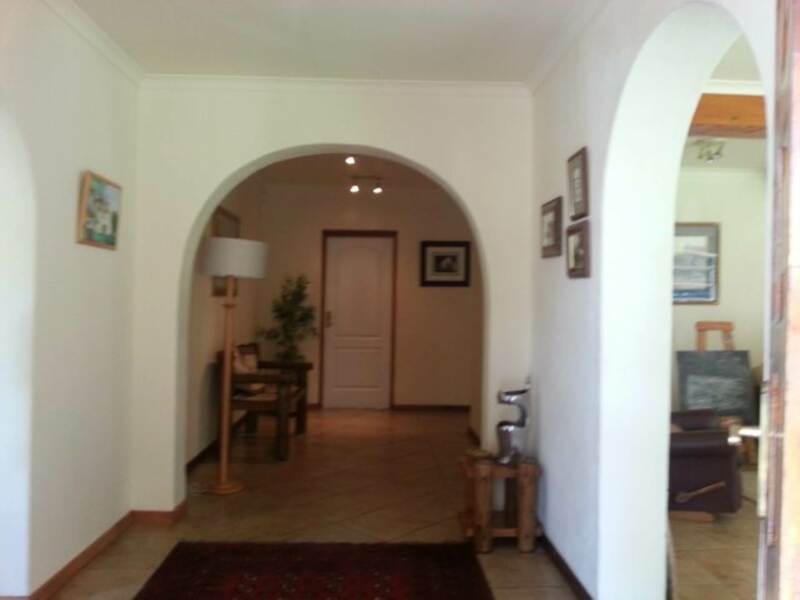 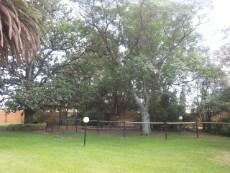 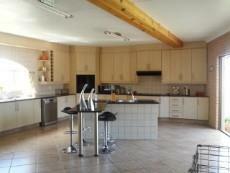 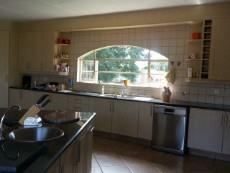 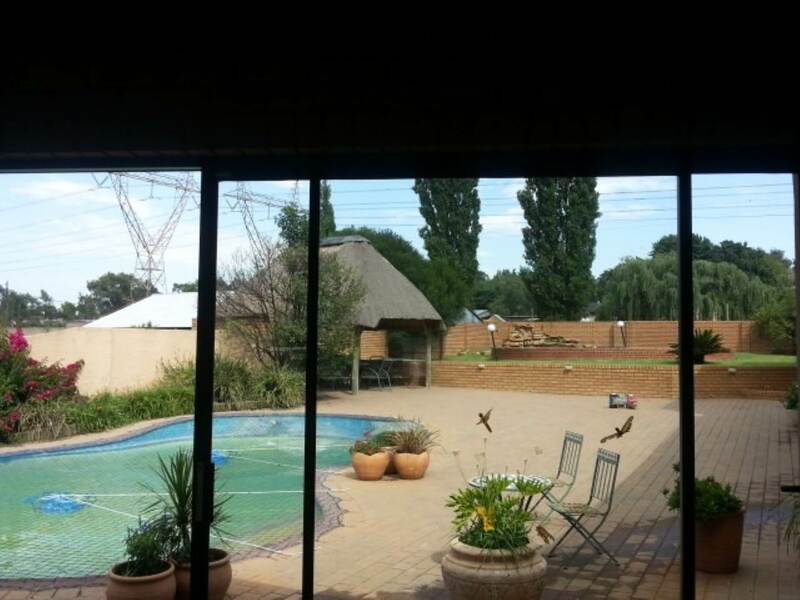 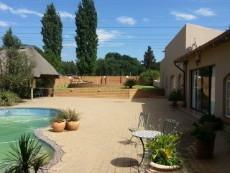 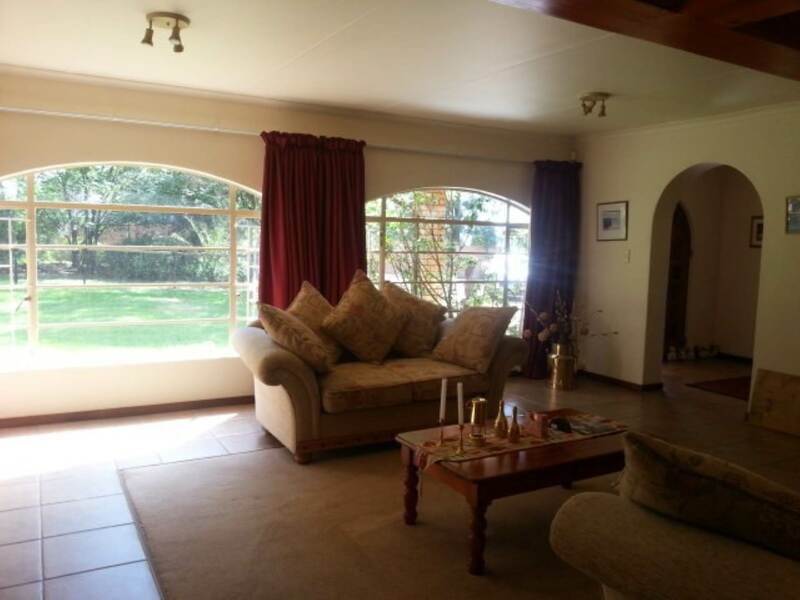 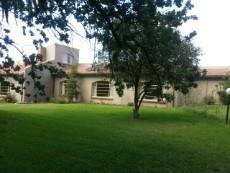 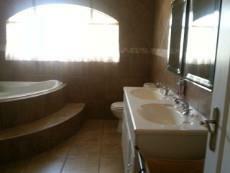 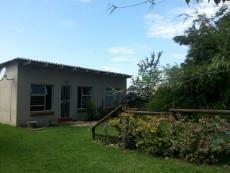 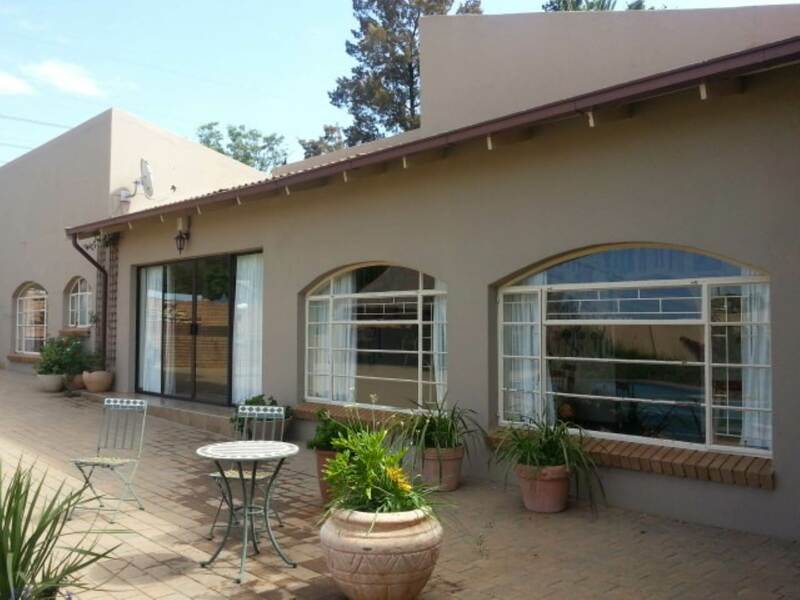 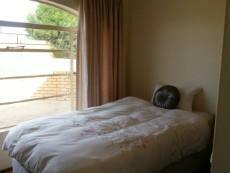 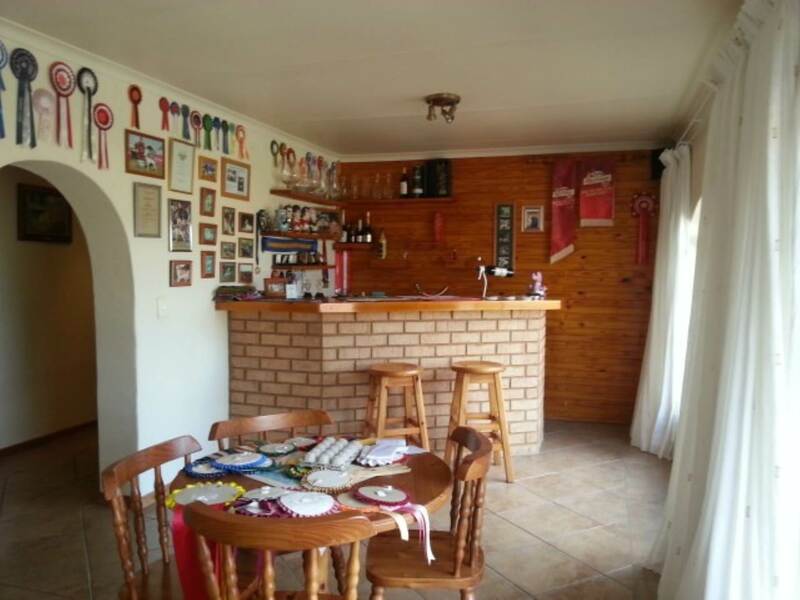 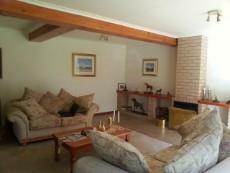 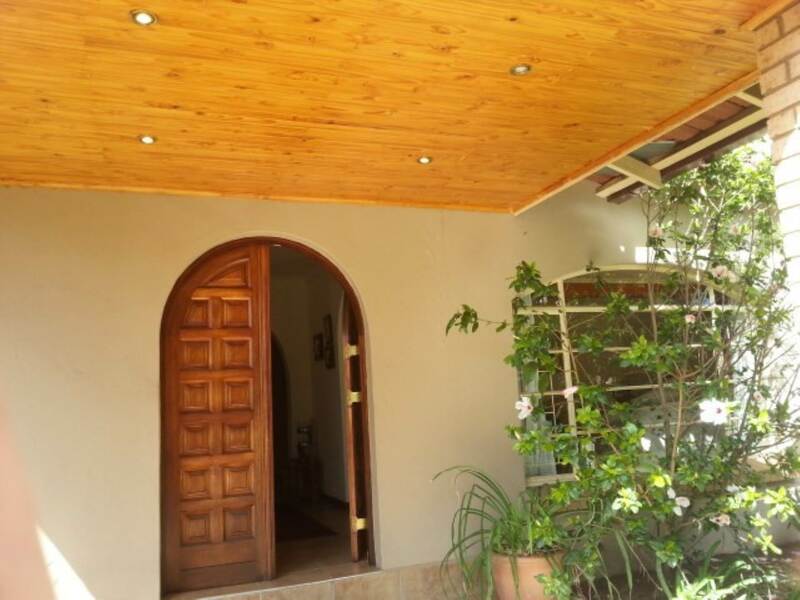 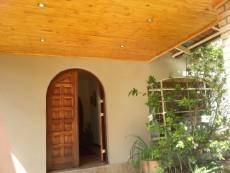 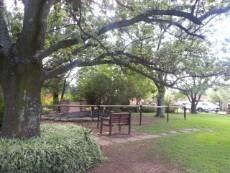 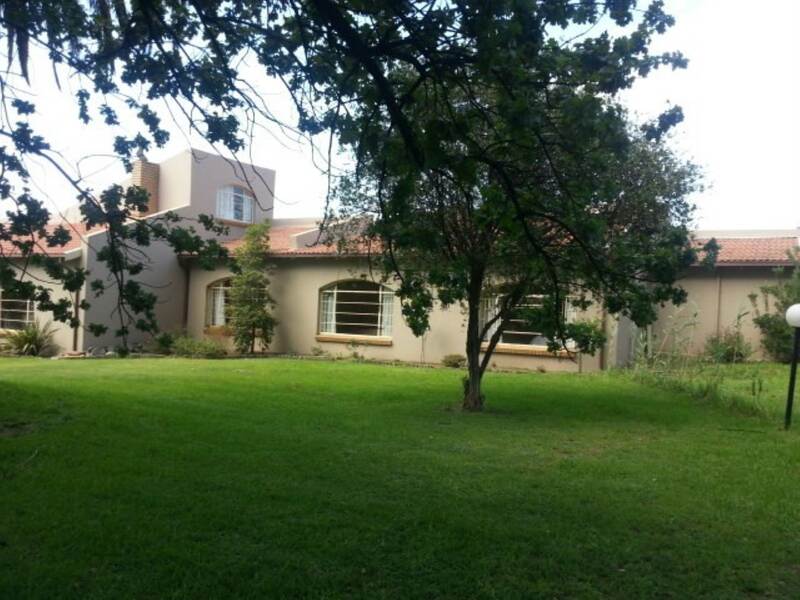 Large Family Room and Fitted Bar opens to sparkling pool and thatched Lapa ideal for entertaining. 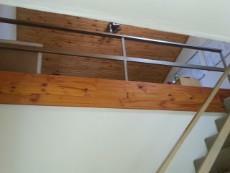 Private Study on Mezzanine level. The huge modern newly renovated kitchen is well appointed with granite tops and plenty of cupboard space and beautiful central island which opens to patio and pool. 4 Garages and 3 storeroom. 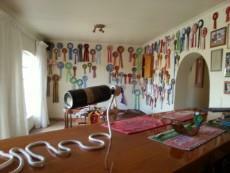 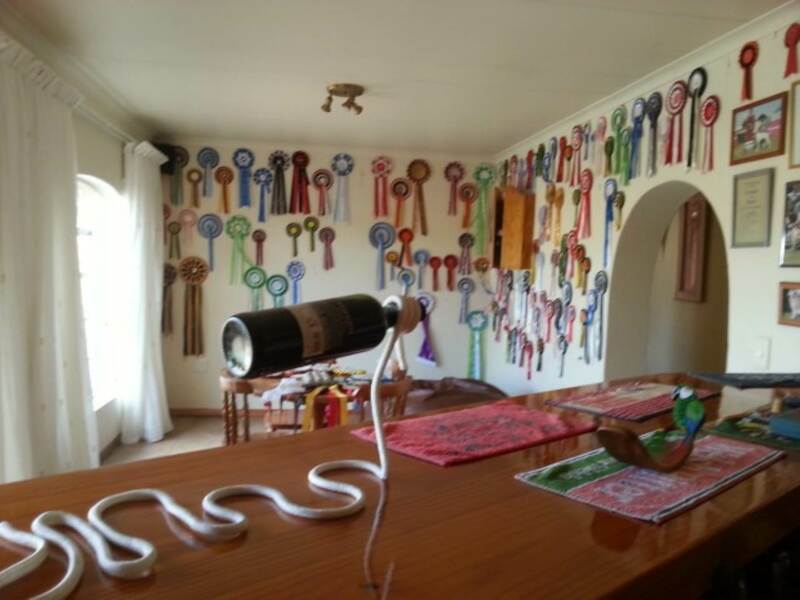 The stables are currently converted to kennels. 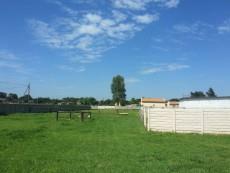 There are many outbuildings and warehouse as well. 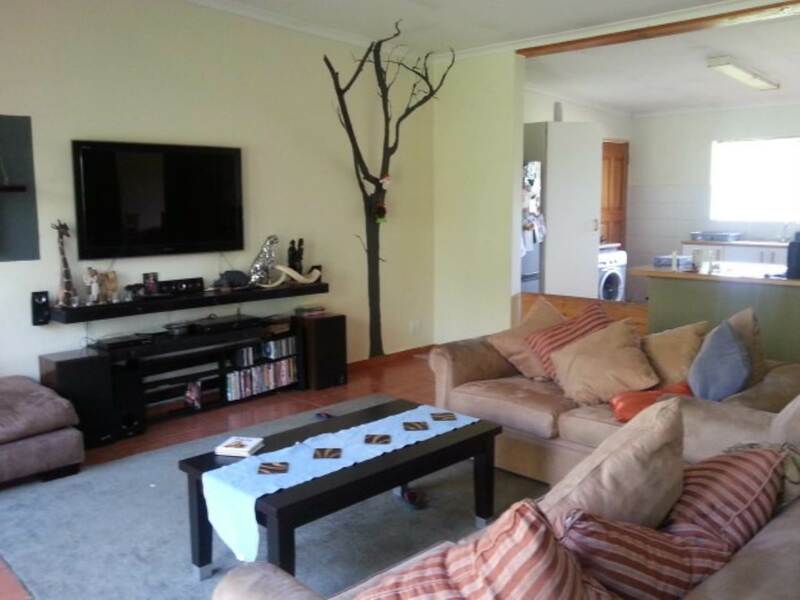 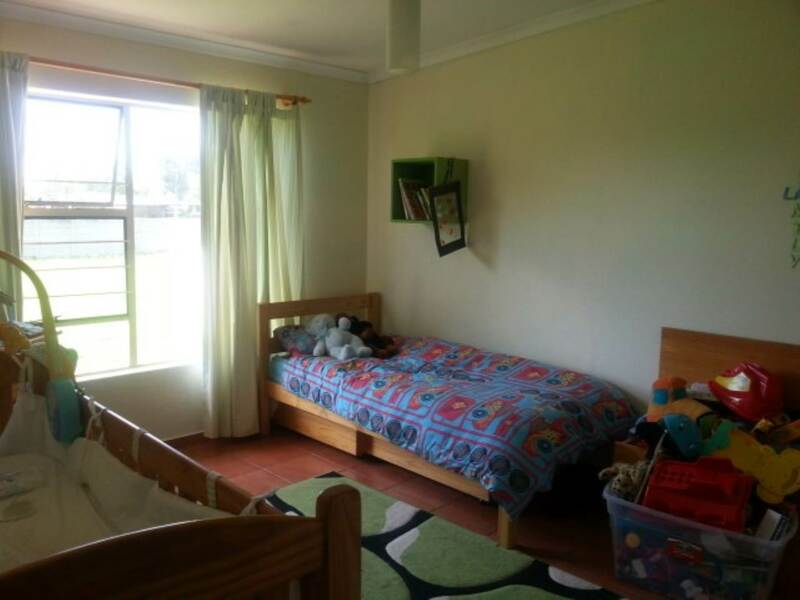 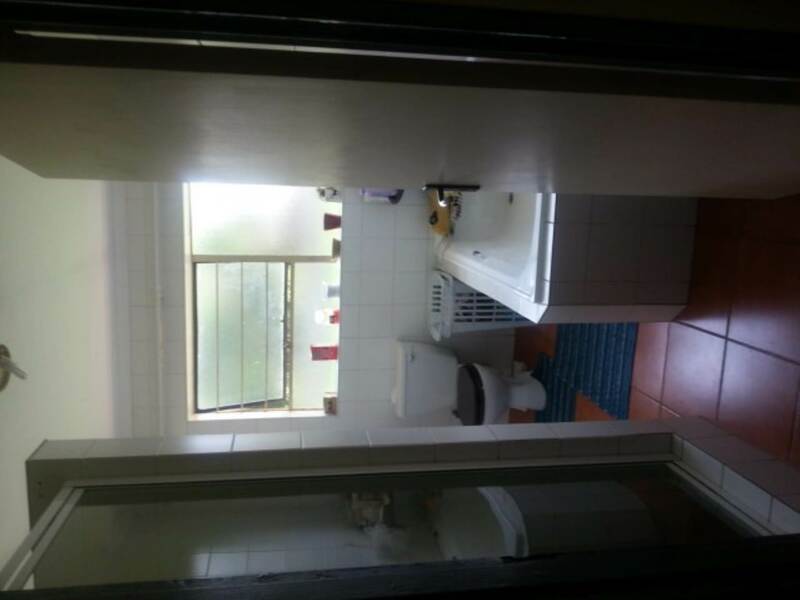 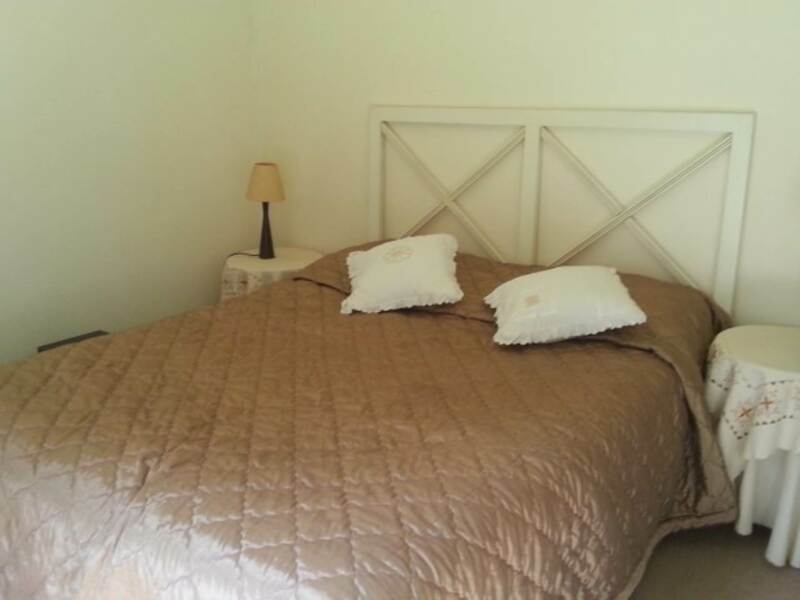 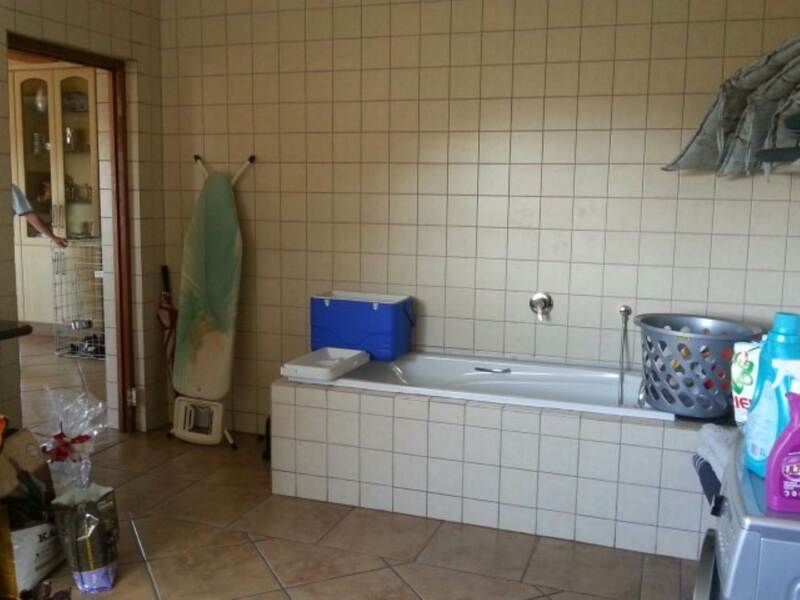 This very worthwhile property includes seperate 2 bedroom flatlet with lounge/dining area and kitchen. 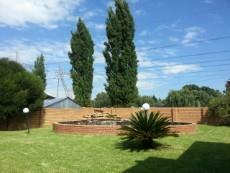 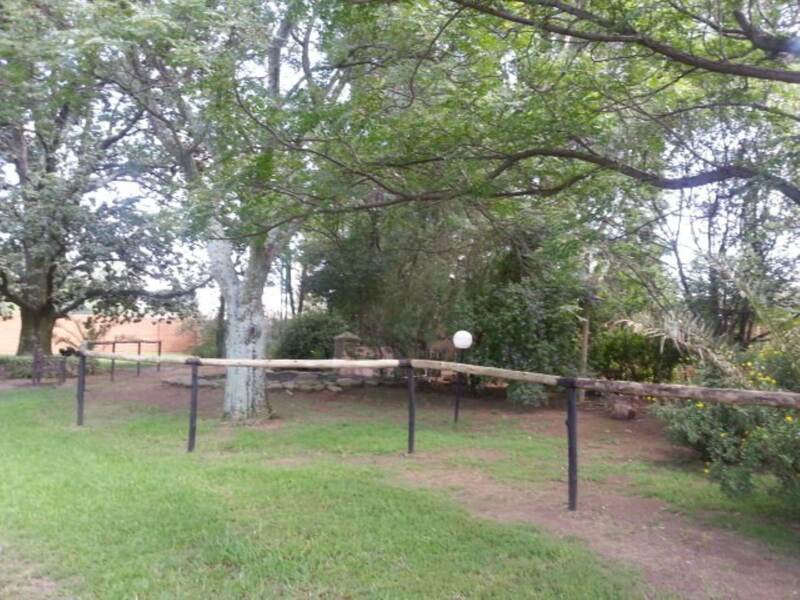 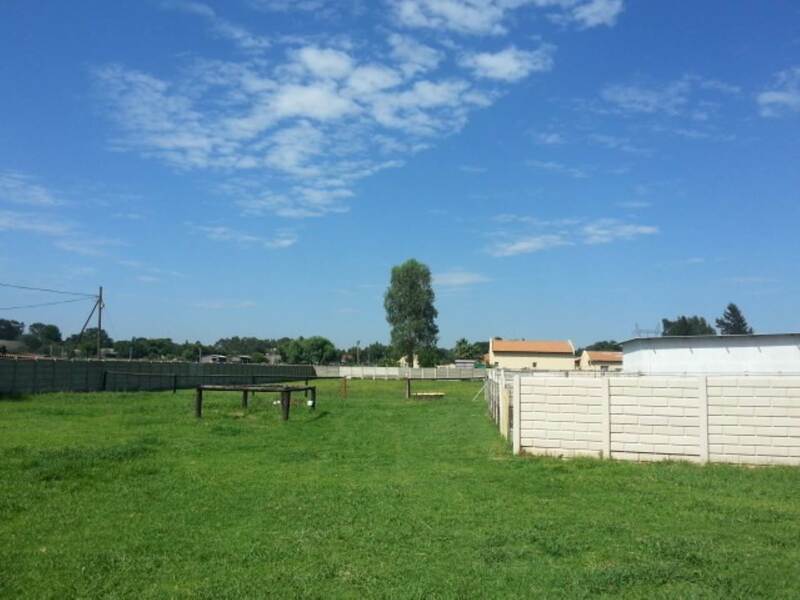 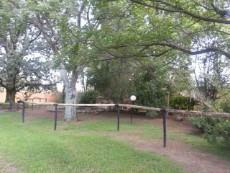 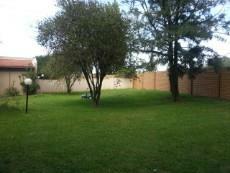 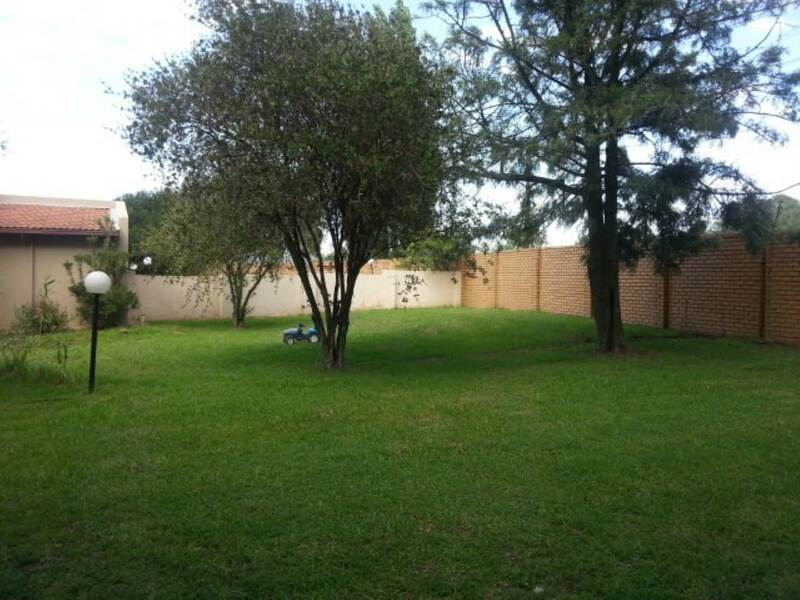 Well secured property with electronic gate and electric fencing. 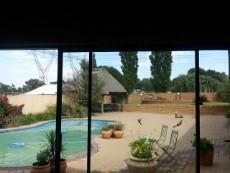 Security Electronic gate and intercom, 6 strand electric fence, alarm and 24hr armed response.